Mike Metz from Minden NV. 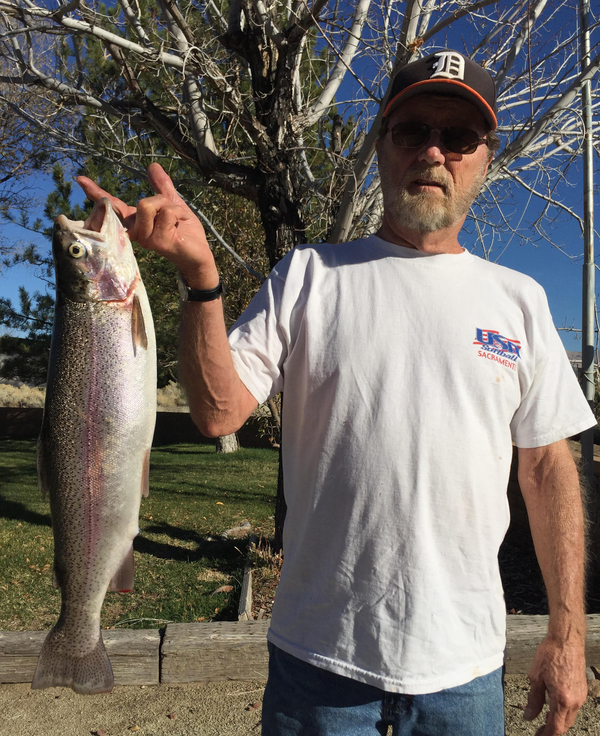 Holds his trophy rainbow he caught at Bridgeport Reservoir just before the close s this year. Hello fellow anglers. If you want to keep in shape for fishing, go put up some Christmas lights. That my friends will keep you in perfect shape to start off the new year at Topaz lake. Because, fishing line and Christmas lights will catch on any and every thing it touches. They both have the ability to tangle itself with out trying. Only a angler would know these similarities.